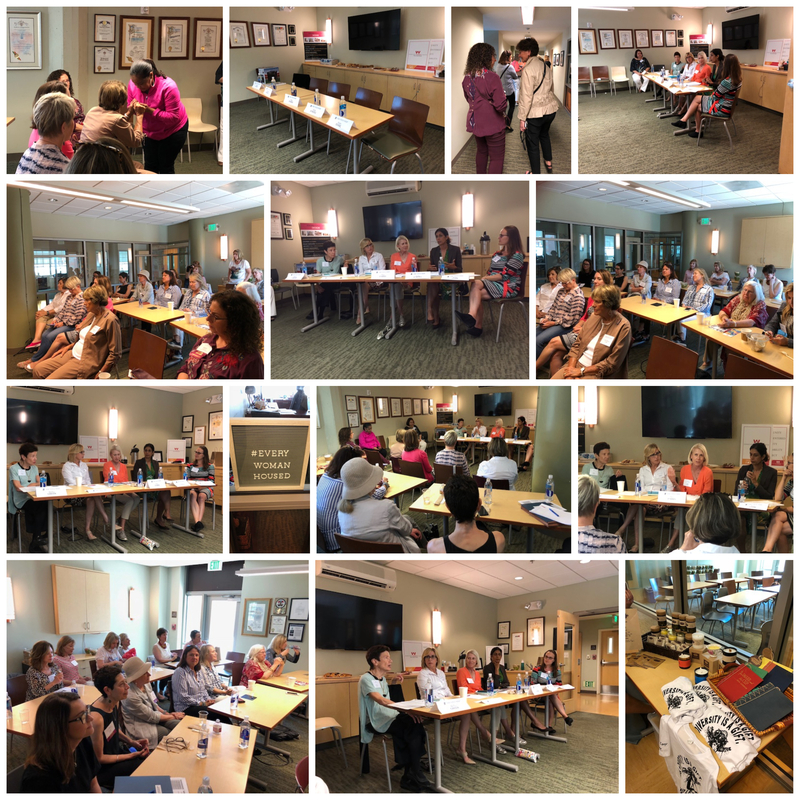 “The tour and talk at the Downtown Women’s Center was really eye-opening,” reports Sophia Jackson, The Trusteeship Event Coordinator. Sophia further shared, “…as we were talking about a huge issue in everyone’s backyard: women who are experiencing homelessness in LA, we learned a lot of statistics about how many women are homeless, the reasons why, and how institutions like DWC are actively helping these women reintegrate into society.”  The panelists, who were mostly Trusteeship members with some other LA officials joining in, was especially impactful and their knowledge and background really helped the our members and guests relate to this everyday issue. Per the information listed below from Melissa Tillman, Chief Development and Communications Officer, are shared links with information on how to help support organizations like the DWC, their wish list for donations, and information on their upcoming event, “Dinner With a Cause.” This event is intended to further highlight the issue of homelessness, and Trusteeship members are welcome to attend. As promised, here’s a link to more resources and information about women’s homelessness, DWC’s wish list and information on our upcoming anniversary gala, Dinner With a Cause.